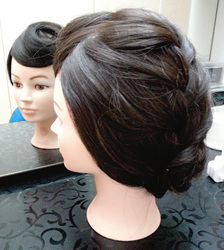 If you've done your research, Koreans prefer natural and simple hairstyles. 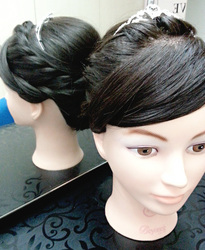 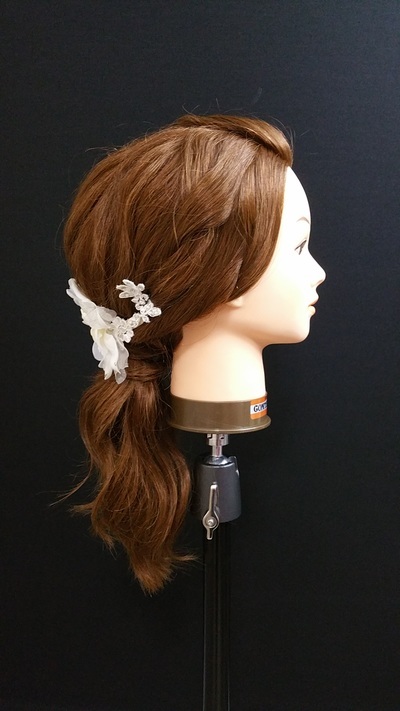 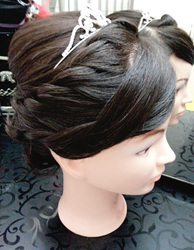 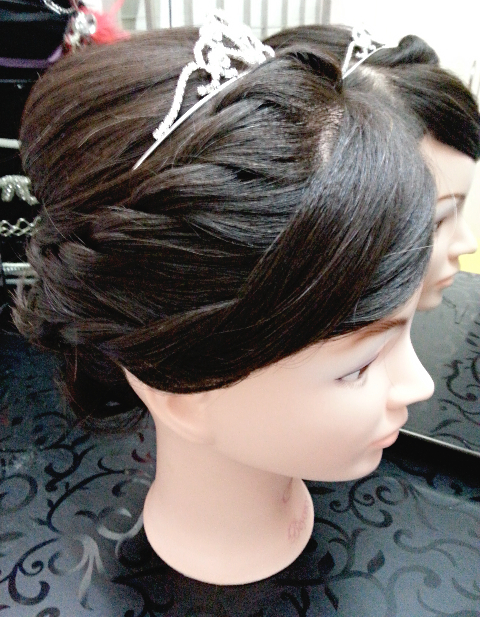 This low ponytail hairstyle is one of the popular bridal hairstyle in Korea. A light twist detail along the hair flow creates texture and younger look. Never afraid to tie your hair up looking mature! 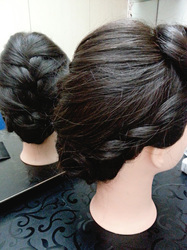 Up-do created without any complicated design, simply just twisting. 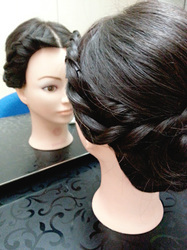 Recommended for day look. 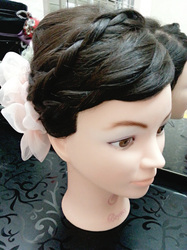 If you realise, the details are more prominent on lighter hair color. 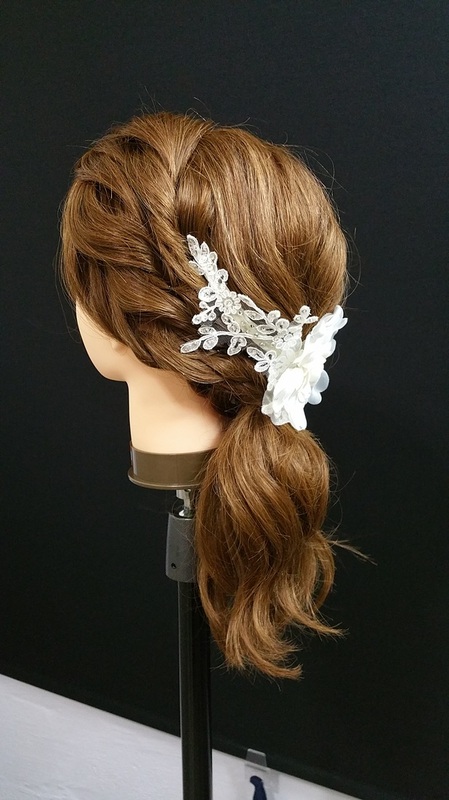 So bride-to-be out there, don't be afraid to colour your hair to lighter tone! 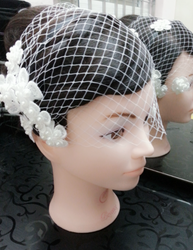 It's all worth it for your big day! 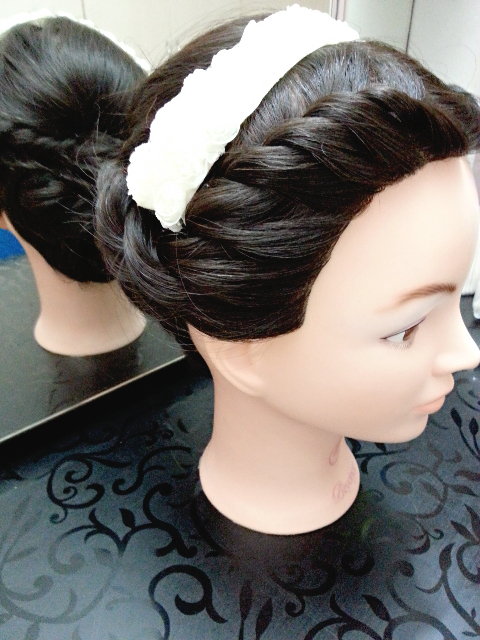 Fringe can be creative too instead of the regular swipe aside. 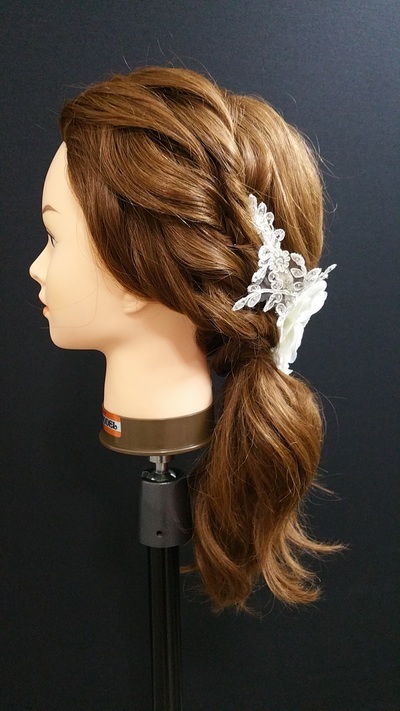 Pictures below showed a double dutch braid with 3 different hair accessories to compliment with. 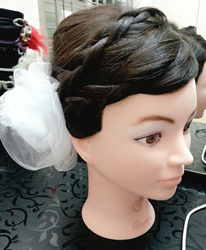 If you're looking for something different, try a bold pin-up fringe. 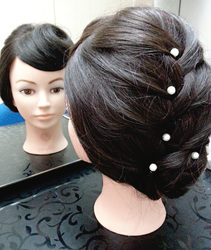 French braids at the back and I added some little pearls to define it. How about some rope braiding for the fringe? 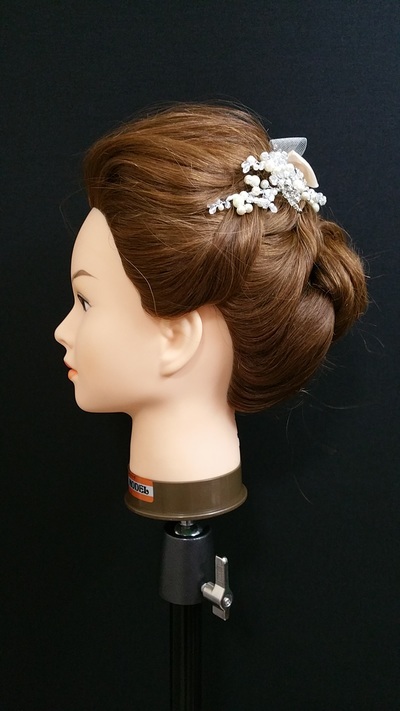 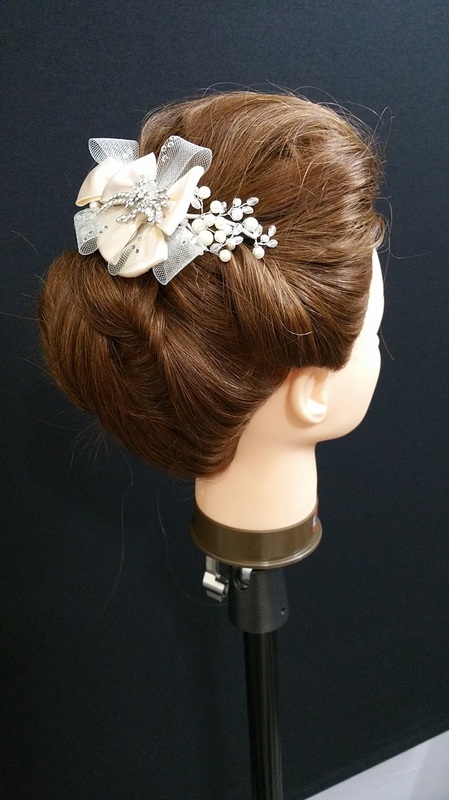 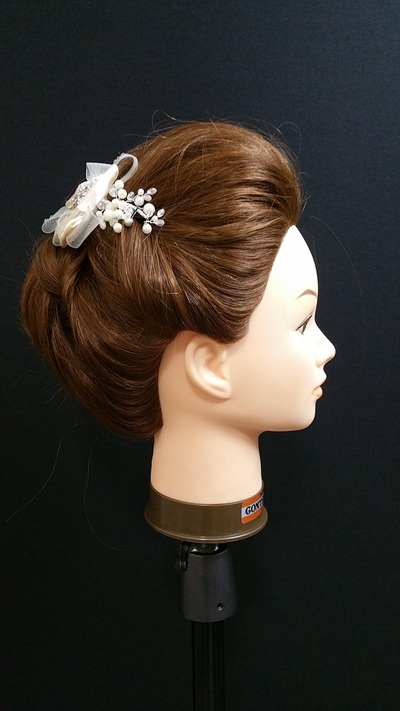 A classic updo with tiara. Korean-inspired center parted rope braiding.